1. IMG_3048, 2. IMG_3050, 3. IMG_3049, 4. IMG_3055, 5. IMG_3053, 6. IMG_2992, 7. IMG_3054, 8. IMG_3067, 9. IMG_3056, 10. IMG_3062, 11. IMG_2972, 12. IMG_3068, 13. IMG_305714. 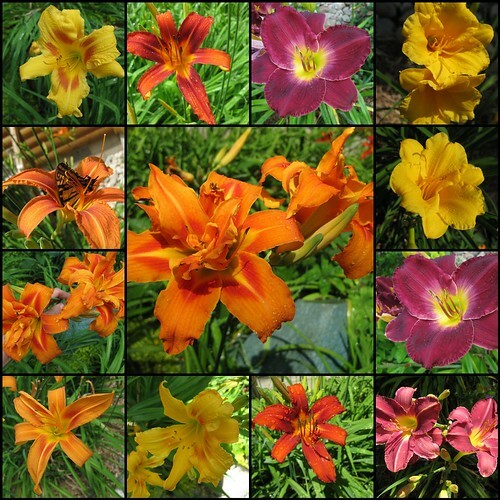 Spectacular… Day Lilies are the work horses of summer. No matter how hot, they stick their beautiful heads up and smile.. just for us! lovely! I love lilies they are my favorite flowers, plus they last so long in a vase! I agree. Day lilies are the bees knees.